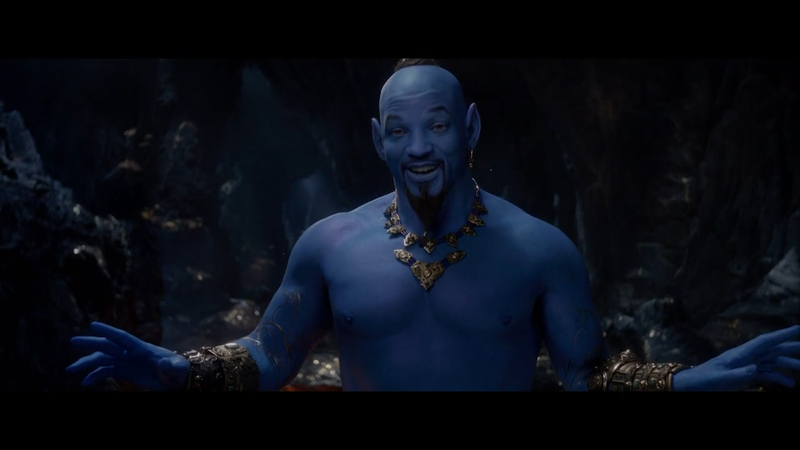 Disney included a look at Will Smith's Genie, which movie and Disney buffs have been waiting to see. An extended look at the live-action iteration of Disney's "Aladdin" aired during Sunday night's Grammy Awards, and it's shining, shimmering, splendid! But Disney provided another image of the character that wasn't shown in the trailer, offering fans another look to consider before making their judgements. "The great thing about the role of the Genie is that it's essentially a hyperbole for who that individual actor is, so it's a wonderful platform and tapestry for an actor to fill his boots on", Ritchie told Entertainment Weekly. "Bring me the lamp", he orders, his loyal pet parrot perched - silently for now - on his shoulder. "You really don't know who I am?" asks Genie. After quite some time of bubbling anticipation, the studio has released a new teaser to preview the film, which stars Will Smith as the famous genie. "Y'all need to trust me more often!"